Prudential has offered financial services since 1848 and currently has roughly seven million customers across the UK. Its cover is underwritten by U K Insurance Limited, it used to offer its own products but it has now partnered with Churchill to provide home and car insurance. If you try to get a quote on the Prudential home insurance website it will take you straight through to Churchill's site. Churchill is listed in our guide to the top 10 home insurance providers. Most of the limits for its Home Plus policy are double what it offers for Home Insurance, for example, it offers £100,000 of contents insurance, however, there is no limit on the building sum insured. Home Plus also includes the optional extras mentioned below as standard. Its cover levels are similar to other major providers. It should be noted that personal possession cover is an optional extra for its Home Insurance policy, whereas other companies offer parts of this cover (bicycle cover, for example) as standard. 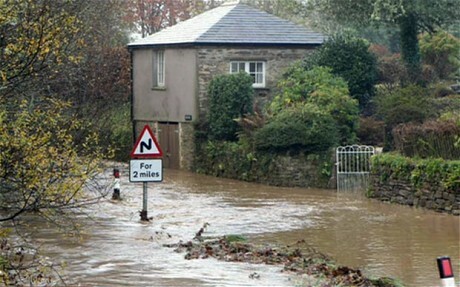 If do you want to cover your bike, make sure your home insurance limits will cover it. It can be worth looking into specialist cycling insurance for more expensive bikes. Prudential enables you to tailor your policy through several optional extras including accidental damage cover, personal possessions cover and a home emergency policy. All of these are included in the Home Plus policy. Accidental damage can be a useful policy because it covers your home or contents for accidents like breaking a window or pouring paint on a sofa, the sort of things that are easy to do but difficult and potentially expensive to fix. Home emergency cover offers free repairs (up to £500) for parts of your home you could not live without, such as your door lock or central heating. There are some limits and rules but it can be very useful and it doesn't count as an insurance claim so it won't affect your premium. Be sure to read the policy documents before purchasing insurance. It’s vital to make sure it provides the right level cover for your needs. For example, Prudential home insurance does not provide any guarantee on work carried out by a contractor you have chosen, they need to appoint their own approved supplier. 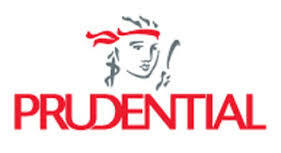 How much does Prudential home insurance cost? There a range of factors that go into calculating a quote so it’s difficult to give an exact price. The value of your home and contents, the age and location of your house, your excess and previous claims will all impact your insurance premium. It’s important to ensure you take out adequate cover for your home and contents. This may mean the cheapest price is not always the best option. Find out why home insurance can pay out less than expected. What do expert reviews say about Prudential Home Insurance? Prudential home insurance scored 54% on independent financial services review site Fairer Finance, which ranks it 33rd out of 48 providers. Check out our list of the top ten for home insurance providers.